This week, we are featuring an amazing group of therapists and their top recommendations to reduce anxiety. One of the main reasons people seek our therapy is to learn better ways to cope with anxiety. Feelings of nervousness and fear impact almost everyone. It’s common to feel scared or anxious in life. When anxiety becomes overwhelming, that’s when people tend to seek out counseling. Today, we are going to teach you some skills that you can use to reduce your anxiety now. Anxiety is my specialty and I thoroughly enjoy working with clients who need help getting their anxiety under control. I enjoy it because it is something that is controllable with very specific skills and tools that are effective when implemented. Here are my top five ways to reduce your anxiety today! Whenever those feelings of anxiety come up, start breathing in slowly from your nose and out through your nose. I suggest you do this ten times very slowly. While I know this won’t solve the anxiety right away, it is a good start to getting a clear mind to make the next step. Start using positive affirmations if unhealthy thoughts are coming up. Remind yourself all of the logical reasons your anxiety doesn’t make sense. Think about your happy place. Bring in whatever thoughts that will help you to reduce your anxiety. Yoga will work wonders for your mental health. I’m personally a yoga lover so I recognize my bias here; however I am a yoga lover because it helps me stay present in my life, which helps to keep my own anxiety at bay (remember I mentioned earlier that anxiety impacts just about anyone). A lot of yoga studios will allow you to take your first class for free. Why not try one this week? YouTube is quickly becoming my favorite therapy tool. There are so many wonderful resources for you to use for anxiety. Search for “progressive muscle relaxation” and start relaxing right away! If your anxiety starts to rise, remind yourself that you feel safe. Simply say the words “I am safe” over and over again. The more your brain registered that you are safe, the more your body will respond to it and the lower your anxiety will go. Scheduling an appointment with a therapist is an effective strategy that I didn’t mention. A therapist will help by teaching you deeper skills, such as Cognitive Behavioral Therapy, to help you to learn to manage your anxiety. Research shows that heart rate over 100 disables our ability to process information and respond well. Taking few deep breaths can help reduce heart rate and focus again. Laughter enhances intake of oxygen, increases endorphin release, stimulates the heart, lungs and muscles, and increases the endorphins released by our brain. It also activates and relieves stress response, and even improves our immune system. Relaxing your mind, and taking a break can always help reducing anxiety. The are endless benefits to meditation. You can also practice some type of a visualization exercise. The release of endorphins that happens while we exercise can help reduce anxiety significantly. Challenge your thought process, accept the fact that you are being anxious at this moment and understand what is the source of your anxiety. Remember that your mind is playing tricks on you. Take a deep breath and try to create an alternative thought that will likely to reduce your anxiety. Many times talking to ourselves and ensuring ourselves that this feeling is temporary and soon it would go away will help. Say/write 3 things you are grateful for on a daily basis. it can help you put things in perspective and help you feel more at ease and in the moment. Luna Medina-Wolf is a licensed mental health counselor and a Certified Rehabilitation Counselor. She completed her B.A. in Psychology at Florida Atlantic University and continued there in receiving Dual Masters of Education in Mental Health Counseling and Rehabilitation Counseling. Luna is fluent in English, Spanish and Hebrew. 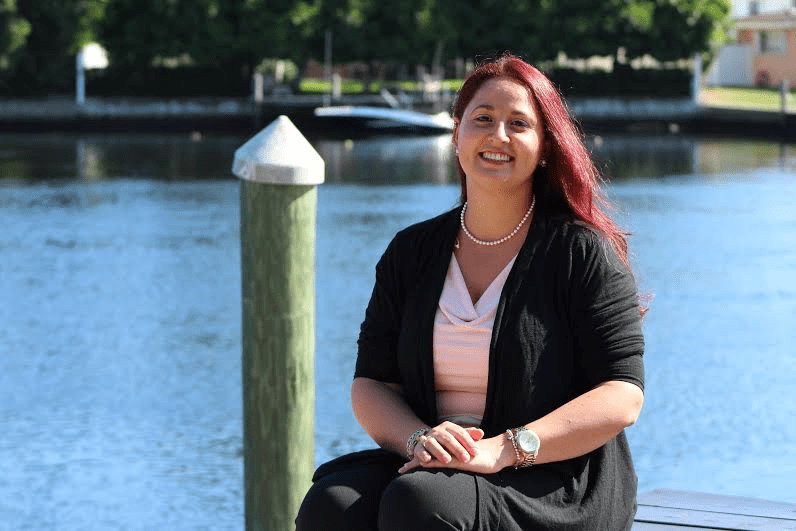 Luna continues her professional development with the American Counseling Association, American Mental Health Counselors Association, and Florida Counseling Association in order to bring the best and most current practices to her clients. Currently, she is finalizing the process of becoming a certified addiction professional. Luna has a strong background in working with individuals who are struggling with substance abuse, who have experienced trauma and those with disabilities. Luna enjoys helping clients both in an individual and in a group setting. Luna’s approach to counseling pulls from several theories. She incorporates motivational approaches, cognitive behavioral therapy, as well as solution focus and positive psychology. Luna believes that change is possible and that each client has the power and can learn the skills needed to better their lives. How does it FEEL – Anxiety can cause physical symptoms that can differ for everyone, such as shortness of breath, rapid pulse or heartbeat, excessive sweating, sudden change in body temperature, dizziness, headaches, stomach or gastrointestinal problems, etc. What are your THOUGHTS – Anxiety can cause you to think about situations in extremes, such as thinking of the worst-case scenario, or thinking about situations irrationally (without any real reason or fact). Where does it COME FROM – Try and recognize the situations in which you experience the thoughts and feelings of anxiety so that you can try to understand what could be triggering you. Is there a lot going on in your life? Do you have a stressful job? Writing down examples of a, b, and c above can help you track this and recognize trends. Sometimes, nothing can stress you out and increase anxiety more than being unkind to yourself (i.e. calling yourself stupid for making a mistake, or engaging in negative self-talk in general). Having high expectations of yourself and others, and saying things in terms of “Should’ve/Would’ve/Could’ve” can also cause high anxiety when you or others fail to live up to them. Instead, work on trying to do your best, and recognizing your efforts, or the efforts of others. Inhale through your nose slowly, counting to 4 as you do, and concentrate on filling your stomach/diaphragm with air. Hold for 4 more seconds. Repeat step “A.” If you feel your shoulders rising and falling sharply as you breathe, you are not breathing with your diaphragm. Try to think of at least 1-2 things that went well throughout the day. This can help you change your thinking and stay calm. 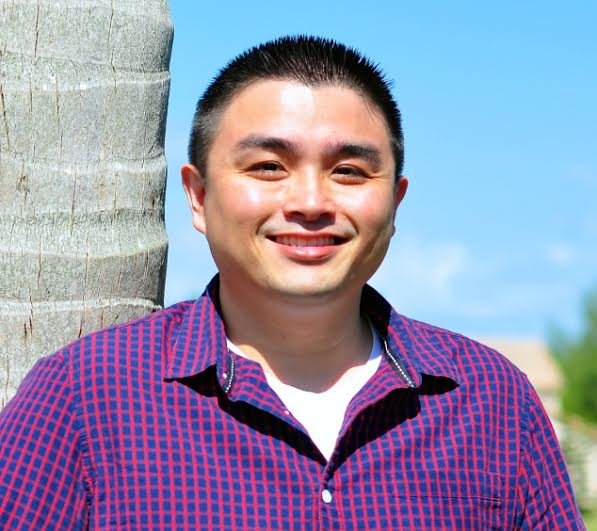 Anthony is a Licensed Mental Health Counselor (LMHC) in the state of Florida, as well as a Qualified Supervisor for Registered Mental Health Counselor Interns. He is currently in private practice in Boca Raton, FL. Anthony’s passion is to work with Teens and Adults who experience anxiety, depression, relationship conflicts, emotional regulation issues, and clients within the LGBTQ population. His approach to therapy is brief, positively focused, and solution-oriented, which helps clients to identify the strengths, supports, and skills needed to resolve issues and reach their goals. As a result, many of his clients have seen positive results quickly, often within a few sessions. For more information, please visit www.NaguiatLMHC.com or call (561) 289-2810 for a free consultation. Also check out www.facebook.com/naguiatlmhc. Although breathing is involuntary, mindful breathing is much harder to place into our daily routine. A skill I often teach my clients is diaphragmatic breathing. Diaphragmatic breathing, or belly breathing, is breathing that is done by contracting the diaphragm, a muscle located horizontally between the thoracic cavity and abdominal cavity. Air enters the lungs and the belly expands during this type of breathing. Why is this way better? It allows you to take a deeper breath, allowing more oxygen to your blood. This method also uses your abdominal muscles, instead of the muscles around your chest and shoulders, which tend to get tense when one is stressed. I encourage my clients to use this breathing technique three times daily and when they are feeling anxious or overwhelmed. The more we try to control things, the more out of control we feel. When we accept that there are certain things that are out of our control, we are freed of the worry that comes with them. When I used to have panic attacks I would call my dad (who also suffers from panic attacks) on the phone and he would distract me. Choose a distraction that you enjoy and one that is mindless like watching TV or taking your dog for a walk. Keep in mind that anxiety and depression often come hand-in-hand. So, make sure to do things for yourself that are enjoyable and motivating. If anxiety persists, call a mental health counselor! We are here to help you. We are professionals trained in treating anxiety and any other mental health concerns you may have. 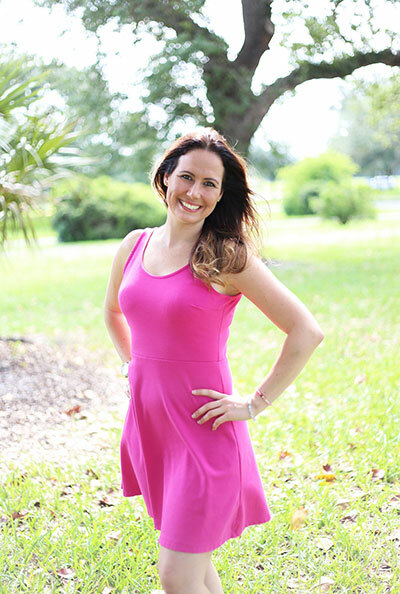 Natalie Nesbitt, LMHC has been seeing clients in the South Florida area for five years specializing in relationship counseling and individual phase of life counseling such as divorce, job loss, postpartum depression/anxiety, etc. 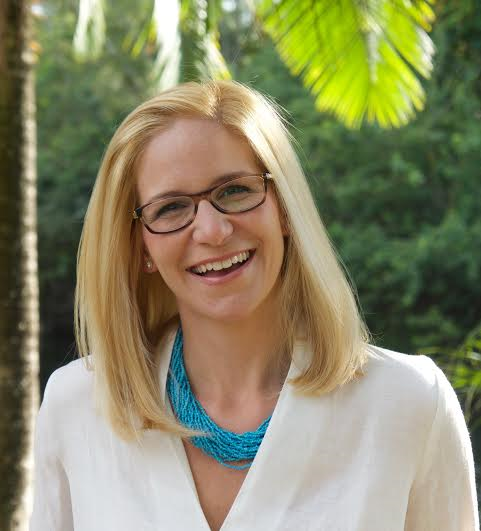 Natalie graduated from Nova Southeastern University in 2011 with her Masters in Mental Health Counseling. She is also a wife and mother of a toddler daughter. Follow her blog at thenotsotherapistmom.wordpress.com. You can contact Natalie at MHCNesbitt@gmail.com. Next week, our therapists will share with you ways to cope with an addict in the family.